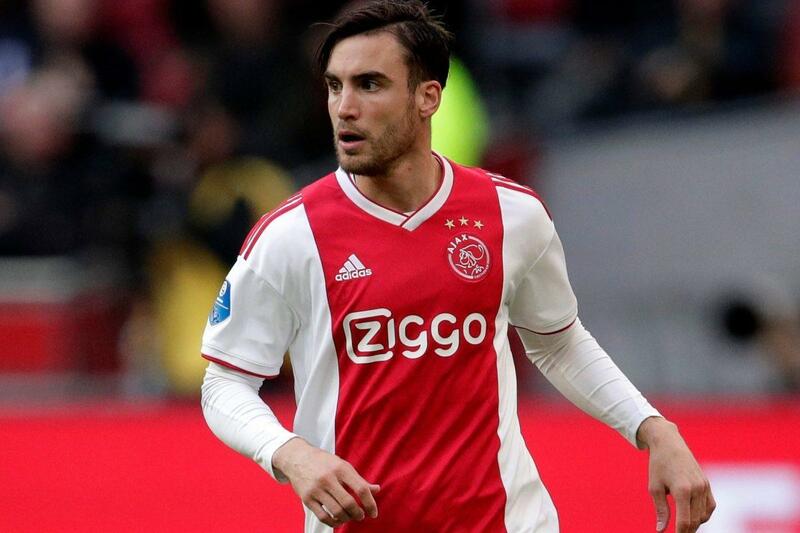 Nicolas Tagliafico thinks it could be time to leave Ajax, with Arsenal watching his progress. The Argentine defender has been outstanding for the Dutch giants and played a key role in their shock Champions League win over Real Madrid. Tottenham, Real Madrid and Atletico are all eyeing the 25-year-old defender who featured for his country at the Russia World Cup. Ajax are losing Frenkie De Jong who is on his way to Barcelona while highly-rated defender Matthijs de Ligt has been linked with a summer move away from Amsterdam. And Tagliafico reckons it could be next out the door and talk of a switch to England is a huge compliment. He told the Mirror: “I think in the summer it could be a natural time to take the step. When you are a child, the target is to come to Europe and play in a top league like the Premier League. I came to Ajax because of the philosophy, the style of football and the club. Up next for Ajax is Juventus and the prospect of keeping Cristiano Ronaldo quiet for two legs. But Tagliafico insists going head-to-head with the Italian’s holds no fear for him. He added: “We will have the same determination that we had against Real Madrid, this time against Juventus. We know it’s really tough, they are a great team and, on top of that, they have great players like Cristiano Ronaldo.